Indulge someone special with a food experience to remember! 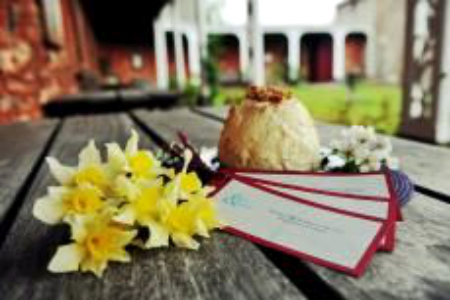 A gift voucher costs £45 and entitles the holder to a day of their choice to the value of £45 with Food & Company. A voucher and information pack will be forwarded to you to use as a gift. Any additional cost over the £45 must be paid in full on the day of the workshop. Vouchers do not guarantee places on a particular workshop, pre-booking by the recipient is essential! To purchase an experience gift voucher, order online now. If you prefer ordering offline, use the PDF form below and send by post with a cheque for payment.